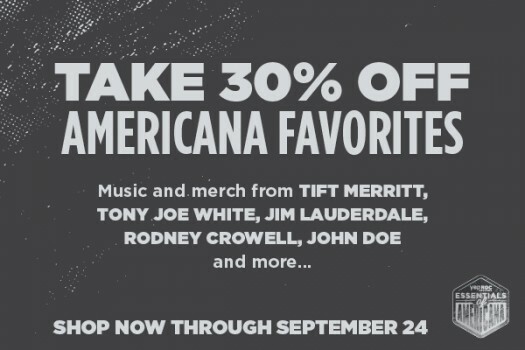 To celebrate Americana Fest, from now until 9/24, take 30% off your favorite Americana artists. Don’t know where to start? Check out Yep Roc’s Essentials of Americana album. This carefully curated collection features songs that incorporate distinctive American styles such as country, blues, folk, and bluegrass. From label newcomers Mandolin Orange and Jonah Tolchin through legendary artists such as Dave Alvin, Tony Joe White, and John Doe, Essentials of Americana is a contemporary treasure of roots-influenced music.